Today, Kantar, a well-known market research agency, released the latest research report on the Q2 smartphone industry in 2018, detailing the differences in iOS and Android systems in different countries. The report shows that the iOS system performs best in the United States. Thanks to the continued strong sales of iPhone 8 and iPhone X, iOS market share in the US increased by 5.9% to 38.7%. The Android system dropped 65.5% to 61%. Kantar said that Apple still dominates the US market, and iPhones occupies eight slots of the TOP10 best-selling models in the past three months. From the cheap iPhone SE to the iPhone X, Apple enjoys unprecedented depth in the price range of smartphones. In contrast, the situation is just about the opposite in the Chinese market. 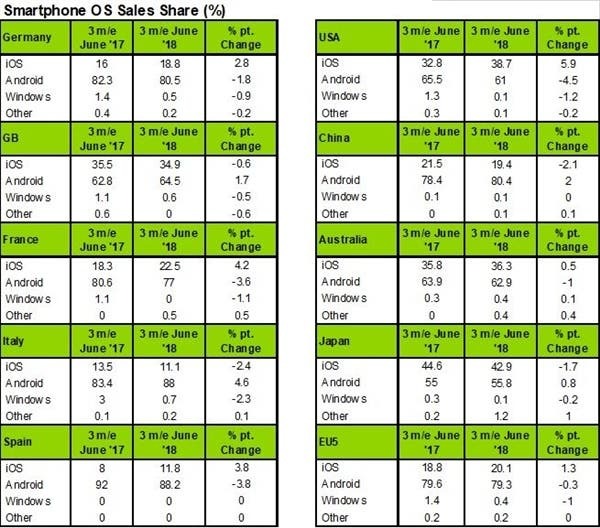 Android has a strong momentum and its market share rose up 2% year-on-year, to 80.4%, while iOS has slipped to 19.4%. The main reason for Android’s dominance in the Chinese market is the stiff competition caused by indigenous Chinese brands can now unleash a good number of eye-catching devices. However, Kantar said that iPhone X is still the best-selling stand-alone smartphone in the Chinese market. It accounts for 5.3% of all mobile phone sales. 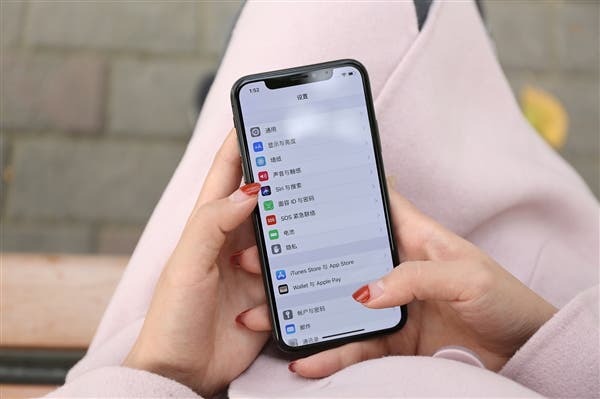 In fact, since its release in November 2017, iPhone X has been China’s best-selling mobile phone model every month. Considering the starting price, its sales alone is enough to give Apple appreciable income.